Today it was announced that Lauren Conr ad will be doing another Disney collection exclusively for Kohl’s and it’s all inspired by Minnie Mouse! I absolutely love Lauren Conrad’s clothes! The majority of my wardrobe is all Lauren Conrad and since I love Disney, I was super excited to hear that she was going to be doing another Disney collection. I really liked her Cinderella collection, but by looking at the Minnie Mouse collection I think I may love it even more. The collection features Minnie’s signature polka dots and bows and ranges in price from $36 to $68. 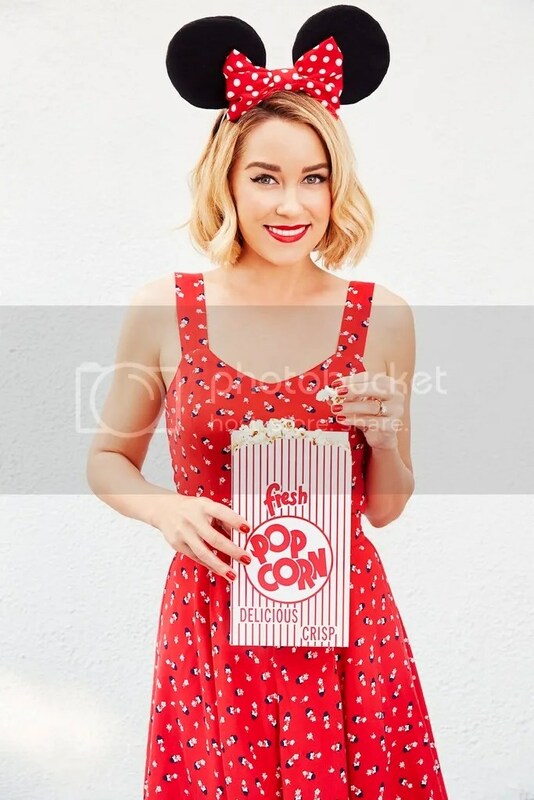 While you (and I) try to wait patiently for the collection to hit online and in stores at May 10, here are some photos of Lauren Conrad wearing some pieces from the collection. My favorite piece so far is the Minnie Mouse printed top! I live in California and it’s pretty easy to find a Kohl’s.